The line was the culmination of one man's dream, James Jerome Hill, the "Empire Builder" so-called because of his ability to create prosperous business where none previously existed. The Burlington Northern merged with the Santa Fe to form the current Burlington Northern Santa Fe (BNSF Railway) on September 22, 1995. On a system 8,316 miles in length, its trains carry freight, passengers, mail and express in the area between the Great Lakes and the Pacific Ocean. The railway operates in Wisconsin, Minnesota, North Dakota, Montana, South Dakota, Iowa, Idaho, Washington, Oregon and California, and in the Canadian provinces of Manitoba and British Columbia. Throughout his years of creating, encouraging and directing, Mr. Hill's creed was development of the resources of the region the railway served. He knew the railway could not prosper unless its territory prospered. That conception, that objective, has guided the Great Northern throughout its history. Mr. Hill's "great adventure" began in 1856. Then 18 years of age, he left his birthplace, a farm carved from the forest by his parents near Rockwood, a settlement in eastern Ontario, Canada. He aspired to be a sea captain in Oriental commerce and headed for the Atlantic seaboard. Not finding a seafaring job, he started west to sign on a ship sailing to the Orient. En route he planned to visit a friend at Fort Garry, now Winnipeg, Manitoba. There were delays and difficulties. The St. Paul & Pacific Railroad Company acquired the Minnesota & Pacific's rights, completed the first ten miles of construction in Minnesota -- from St. Paul to St. Anthony, now Minneapolis -- and began regular operations on July 2, 1862. Train equipment came up the Mississippi on barges. The pioneer wood-burning locomotive of the St. Paul & Pacific was named the William Crooks, after the railway's chief engineer. It still is No. 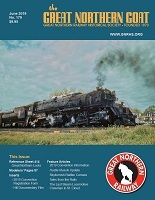 1 on the Great Northern's locomotive roster and is housed in St. Paul. In 1939 the William Crooks went to and returned from the New York World's Fair under its own power. On infrequent but memorable occasions now the locomotive and two cars, which are replicas of those it pulled in the early years, go on public display or make relatively short runs. Success here preceded acquisition in 1878 of the St. Paul & Pacific, and the First Division, St. Paul & Pacific. Mr. Hill interested three men in joining him. One was Norman W. Kittson; the others were George Stephen, president of the Bank of Montreal who became Lord Mount Stephen, and Donald A. Smith, chief commissioner of the Hudson's Bay Company, later to become Lord Strathcona. The latter two subsequently gained fame as pioneer railway builders in Canada. 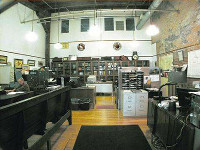 The properties were reorganized in 1879 as the St. Paul, Minneapolis & Manitoba Railway Company. Settlers came. By 1881 the Manitoba company operated 695 miles of track. 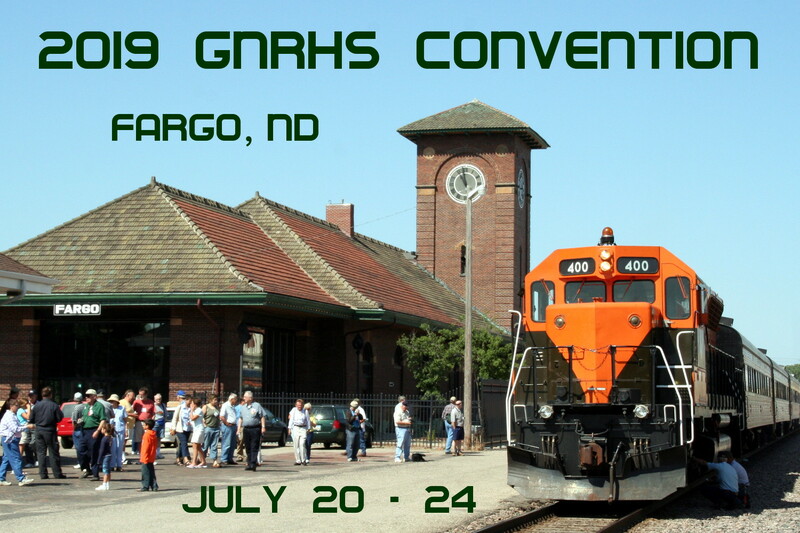 Rail reached west to Devils Lake, N. D. by 1885 and on some north and south branches. Colonization progressed and traffic grew. Montana was reached in 1887 to connect with other lines operating to the Pacific Northwest. On September 18, 1889 the name of the old Minneapolis & St. 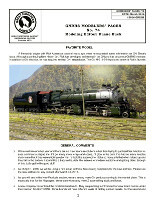 Cloud Railroad Company was changed to Great Northern Railway Company. The latter, on February 1, 1890, took over properties of the St. Paul, Minneapolis & Manitoba Railway Company and when 1890 ended was operating 3,260 miles. The Minneapolis & St. Cloud charter, issued in 1856, had been purchased by the Hill group in 1881. The Rocky Mountains loomed ahead, and beyond, the Pacific. John F. Stevens, a locating engineer, was engaged to determine an easy, low-altitude route over the Rocky Mountains. He found Marias Pass, at, the headwaters of the Marias river in Montana. A bronze statue of the engineer as he appeared that wintry day in 1889 now stands at Summit, Mont., 12 miles west of Glacier Park station, within a stone's throw of Great Northern's passing transcontinental trains. Summit, 5,215 feet above sea level, is the highest point on the railway's transcontinental line. Construction of the Pacific Coast extension westward from near Havre, Mont. began in 1890. The final spike was driven near Scenic, Wash., on January 6, 1893, completing the transcontinental project. By midsummer of 1893 Seattle and the East were linked by regular service. Fame as a transportation genius and "Empire Builder" has largely eclipsed Mr. Hill's other noteworthy accomplishments. He helped build the Canadian Pacific. His addresses on economic topics are well worth reading in the light of later history. He became an authority on agriculture and livestock. Experimental farms and credit facilities for producers were established. Conservation of natural resources was advocated. Many character-building and educational institutions carry on now with the aid of his endowments. An easier crossing of the Cascade mountains in Western Washington was completed in 1929. This included construction of the Cascade tunnel, 7.79 miles in length and longest railway tunnel today in the Western Hemisphere; relocation of 43 miles of line, and electrification of 74 miles between Wenatchee and Skykomish, Wash. Maximum elevation in crossing the Cascades was reduced from 3,383 to 2,881 feet above sea level. Forty-three miles of steep and winding mountain trackage was replaced by 34 miles of easier, faster, electrified line. Electrified trackage today embraces the 74 miles of main line plus 21 of yards and sidings. The Empire Builder, the top transcontinental passenger train of the line, began operating in daily service between Chicago and the Pacific coast in 1929, soon after completion of the Cascade project. In 1947 and again in 1951 the Empire Builder name passed to a fleet of new transcontinental streamliners and the newest, third generation Empire Builder is the premier passenger train of the system. 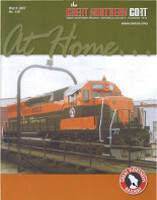 The heavy wartime traffic was handled by a growing number of diesel locomotives, as well as oil and coal-burning steam locomotives and by electric motive power in the Cascades area. Improvement of other railway facilities continued also, subject to wartime conditions. On February 23, 1947 these streamliners, each of 12 cars and a 4,000-horsepower, two-unit diesel-electric locomotive, began daily service. 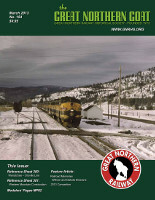 Great Northern was the first northern transcontinental system to inaugurate this streamliner service and the first among these lines to offer passenger service on a 45-hour schedule between Chicago on the east, and Seattle and Portland on the west. Another completely new fleet of five Empire Builder streamliners—-the third generation under this name-—entered service on June 3, 1951. Each has 15 cars and a 4,500-horsepower, three-unit diesel-electric locomotive. This train, again presenting the most modern equipment and accommodations, took over the run and schedule of the predecessor Empire Builder fleet. Also on June 3, 1951 the five streamliners that began operating in 1947, plus a sixth completely new train, were given the name of Western Star, and the Western Star became the companion train of the Empire Builder between Chicago on the east and Seattle and Portland on the west. Each Western Star has a basic length of 14 cars, and is drawn by a 4,500-horsepower, three-unit diesel-electric locomotive. Presidents of the Great Northern following James J. Hill have been Louis W. Hill Sr., 1907-1912; Carl R. Gray, 1912-1914; Louis W. Hill Sr., (who was chairman of the Board of Directors from 1912 to 1929), 1914-1919; Ralph Budd, 1919-1931; William P. Kenney, 1932-1939; Frank J. Gavin, (who became chairman of the Board of Directors in 1951), 1939-1951, and since 1951 John M. Budd. Throughout the years, the railway's Department of Agricultural and Mineral Development has been active in behalf of Great Northern's territory. With agents at various points, the department furthers diversification, development of new crops and markets, irrigation in areas of inadequate precipitation, conservation and restoration of soil fertility, and other beneficial agricultural practices. Another phase of the department's work concerns mineral resources and their development. Use of diesel-electric motive power has expanded steadily, and 80 of these locomotives were added during 1950. In 1950 diesel-electrics handled 44 per cent of the railway's freight service in terms of gross ton miles, 82 per cent of passenger service measured in passenger car miles and 71 per cent of yard switching based on locomotive hours. The railway had an average of 28,490 full-time employes in 1950. Total payroll for the year was $105,847,930, while taxes were $34,458,432. Net income for 1950 was $28,184,939. On November 21, 1950, the company's 3,092,561 shares of capital stock were owned by 33,655 stockholders, whose holdings averaged 92 shares. 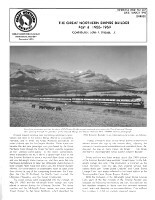 The diversified character of the territory served and traffic carried is revealed in the following analysis of Great Northern freight revenues by commodity groups in 1950: Products of agriculture, 26.4 per cent; animals and products, 2.2; products of mines, 18.4; products of forests, 14.1; manufactures and miscellaneous, 35.7; all less than carload freight, 3.2 per cent.